Please select an option Navy Berry Maroon Please select a color. Sally sells seashells by the sea shore. Sally sells Seashell Day Bags by the seashore. 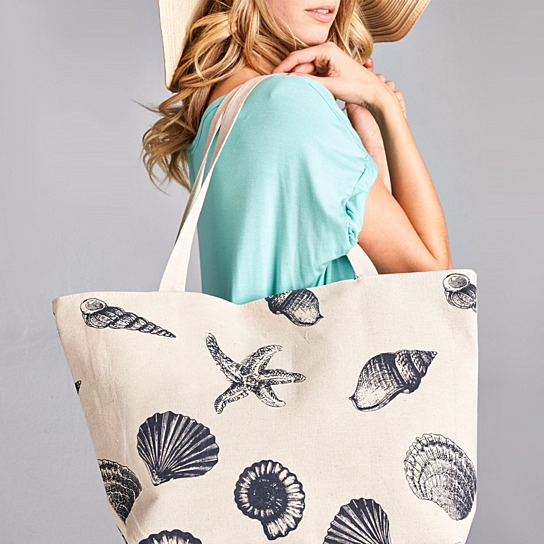 A lovely seashell printed day bag for a lovely day at the beach. Cleaning tip: spot cleaning your bag with a damp sponge and a detergent designated for hand laundering fine washables.